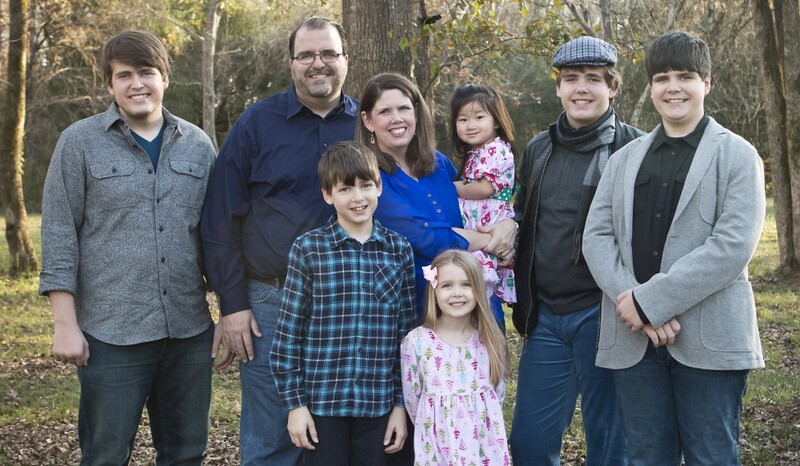 We have been amazed at God’s kindness this week as He has extravagantly answered our prayers regarding our adoption. We have been praying since day 1 that the Lord would expedite our adoption process if it be His will. He enabled us to get through our part of the Home Study in a blazing 2 months time. Next, although we had been told we should expect to wait up to 6 months for a referral, we got a referral just ONE DAY after becoming eligible to do so (LID 2/28, referral on 3/1). We have also been praying since the beginning that the Lord would give us a baby. We have heard again and again that it is not as common to see really little ones, but we have continued to pray for it. Our youngest daughter is 2 1/2 and we wanted a little girl who would ideally be at least 1 year younger than she is. We have been praying that the Lord would allow us to bring home a child younger than 2 years old, and preferably younger than 18 months. It seemed too much to hope for, and we have been preparing to bring home a toddler or to wait a very long time for a baby. But we were stunned and thrilled to get a referral for a 6 month old baby, and we hope to bring her home sometime around her first birthday! How can we praise Him enough for answering yet another of our specific prayers? Our third daily prayer for our little girl has been that she would be in an orphanage where she is being well cared for and her needs are being met, as much as is possible in that difficult situation. 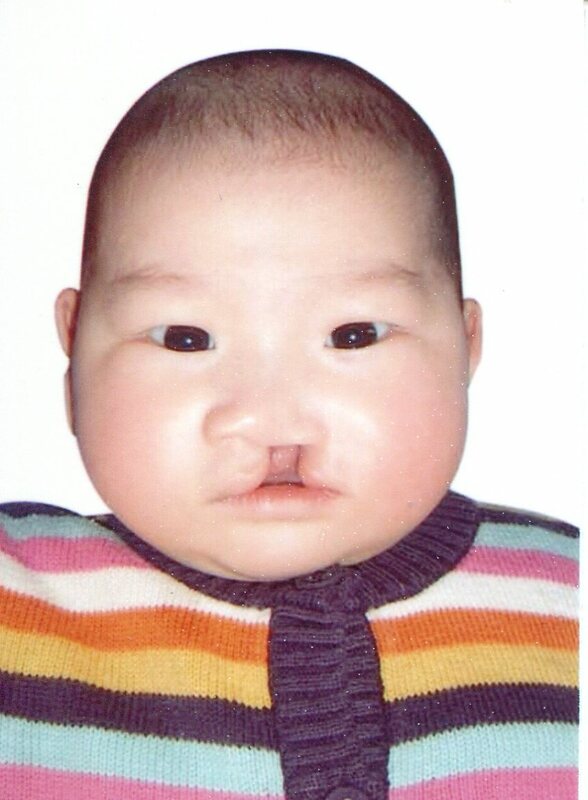 Although we don’t fully know the answer to that prayer yet, we have been encouraged that in spite of her cleft lip/cleft palate, her weight is really good so she appears to be well cared for. We were also encouraged to learn that not only does her orphanage have a Half the Sky program, it was one of the initial orphanages to do so! Half the Sky is a wonderful program in some of China’s orphanages, in which nannies come in and rock babies, providing loving stimulation, and extending care that goes beyond merely meeting the children’s physical needs. We have also been pleased by the information we have gotten about the orphanage recently from others who have traveled there, as well as the report we got last week in answer to our questions about our little girl. When we first submitted our Letter of Intent to adopt (LOI) we were concerned that she may be deaf, as her file stated numerous times how quiet she was, and that she made no sound when spoken to. But this week we found out that they no longer have any concerns about her hearing, and that she is now laughing and vocalizing and responding to sound. We praise God for this wonderful news! Those big picture items were three of the things that struck us the most. God has brought us a child whose particular situation directly matches the three things we have been burdened to pray for daily for the past 7 months. But if that weren’t enough, he has added grace upon grace, shining a light on this little one through unusual details that are particular to our family and to her. We began our adoption paperwork the same week that this little girl was born. Her birthday is on the one-year anniversary of my dad’s death. I have two friends locally who have adopted from China; one of them brought a little girl home six months ago with cl/cp. She is further along the road and has already been a great help to me. We are planning to use the same doctors, cleft clinic, and speech therapist that her family is using, and it is great to have a local friend who can help me navigate these waters. We have a long-standing relationship with the speech therapist our friend is using; it turns out that she has experience with cl/cp and she has already been working with our younger boys for the past two years. 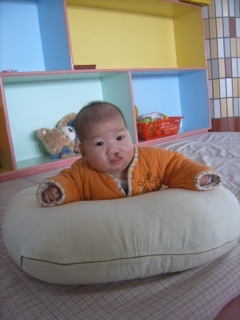 We submitted a request for China to wait on her cl/cp surgeries and let us do them when she gets to the U.S. Please join us in praying that they will honor our request. I did not think we would even have a referral by August, yet now we have the possibility of having a baby by then! 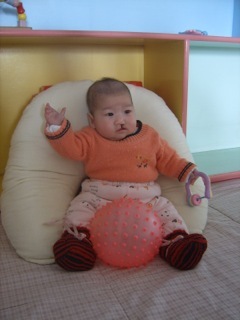 Please join us in praying that the Lord would do another amazing thing and let us get to her before her 1st birthday! Please join us in praying for the attachment and bonding process, that this precious little girl will bond with us quickly. Wow. Just…wow!! The Lord has blown our socks off with stunning displays of His love, kindness, and amazing providence these past two weeks. We have seen His hand at work and we are in awe. In the past two weeks we have gotten LID, LOI, and now PA! We got our LID (log in date in China) on February 28, 2013 and hunkered down to wait 6 months for a referral. But the Lord had other plans for us. I was totally unprepared when my phone rang early in the morning on March 1st, less than 24 hours after getting our LID and with it, the permission to look at files. What? A file?? So soon?! We have been praying since day 1 that the Lord would “expedite” our adoption process, but this was beyond what we had dared to hope for, especially since the recent disappointing news we got about referral wait times. But the Lord had more surprises in store. 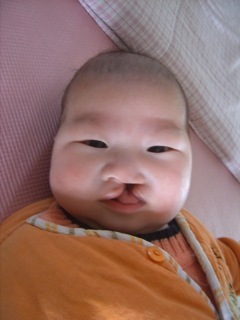 Our adoption advocate explained to me that she had a file of a little girl with cleft lip/cleft palate and she had just been placed on the Shared List. She was only 6 1/2 months old. Did we want to see her file? Say what?! Did I hear that right? How can that be?! We have been told since we started this process that finding a little girl so young with correctable needs is unusual in the world of Chinese special needs adoption. Of course we wanted to see her file! The next few minutes were a blur. I looked at her file quickly, and then called my husband. He had already seen the file come through. What should we do? A little girl this young, with this particular special need, would likely not stay on the Shared List for long. Yet it felt so strange to make a rushed decision when we had not had any time to talk to one another, much less to pray, or to seek any advice from our doctor, etc. We had been planning to use Lifeline’s orphanage partnership program, which would have given us a lot more information about our prospective child and more time to make a decision. With a shared list file, we only had a few photos and about 2 paragraphs of information, much of which was largely irrelevant. There were many blanks in her file and it was hard to know what to do, yet we knew time was of the essence! My husband wanted to move forward but he felt I should call our insurance company first to verify our benefits for her special needs. Last year when we started this process I knew these needs were covered but our insurance was switched to a new company as of January 1st and now we didn’t know for sure. I felt so much stress, knowing that the conversation might take 10 minutes and feeling like there was absolutely no time to waste as someone else could also be looking at her file at that very moment. I texted our advocate to let her know we wanted to move forward but I needed to call our insurance company first. I also wanted to send the file to our pediatrician but I felt there wasn’t time to wait all day for her to get back to me about it. I was just starting to pray the words, “Lord, this seems so rushed. Can this be from you?” when our advocate called to let me know we could lock her file, giving us 72 hours to talk, pray, show her file to our pediatrician, and make our decision. I had completely forgotten that locking her file was even an option, and I burst into tears immediately. The moment I called out to the Lord, “Can this be from you?” I got the phone call about locking her file, and we felt an immediate sense of peace knowing we had a little bit more time to make a momentous decision. The rest of the day was a blur. I think around 3 pm one of the kids suggested I should get out of my pajamas! It was a Friday, and the lock expired on Monday morning. Paperwork for our Letter of Intent to adopt (LOI) needed to be filled out that weekend if we wanted to move forward, so I spent much of the day talking with our pediatrician and insurance company and researching cleft lip/cleft palate. This was a need we said we would consider, but I had not looked into it much, as I was leaning more toward other needs like heart conditions. We turned in the LOI (letter of intent to adopt) on Saturday, March 2nd. It has been an agonizing couple of weeks waiting for our PA (Preliminary approval) to come through. I found an amazing spreadsheet algorithm on China Adopt Talk that calculates when one might expect to get their next important acronym (like PA, LOA, and TA!). It didn’t happen quite as quickly as what the median, predicted date was, but we had it by the time we made it to the “80% probability you’ll have it by this date….”. We got the call yesterday, March 15th, letting us know we had gotten PA, and the official date for our PA in China was the day before, March 14th. While we were waiting for our PA, we submitted a few questions to her orphanage through our adoption agency and we were thrilled to get very positive and timely responses back. The little bit of information we had about her was prepared when she was 4 1/2 months old, and it mentioned at least 5 times in as many sentences how quiet she is. We were worried that she isn’t hearing. We were thrilled a few days ago to get a report back letting us know that she now laughs loudly and babbles, and that they have no concerns about her hearing based on all that she is currently doing. Furthermore, we were told that her cognitive and physical development are progressing well and that she is even eating some solid food, which she reportedly loves, and she is gaining weight. I just love her chubby cheeks!! I have also been able to investigate more about her orphanage this week, and I was thrilled to learn that her orphanage was one of the original places to start the Half the Sky program. This is another prayer answered. I will have to write a separate post about all the ways God has answered our prayers regarding this precious daughter, and the ways in which He has made it clear that this is the child He chose for us from before the foundation of the world! July 4, 2012 We decided to pursue International Adoption. We spent almost a month narrowing down which country we wanted to adopt from and which agency we wanted to use, eventually settling on China through Lifeline.